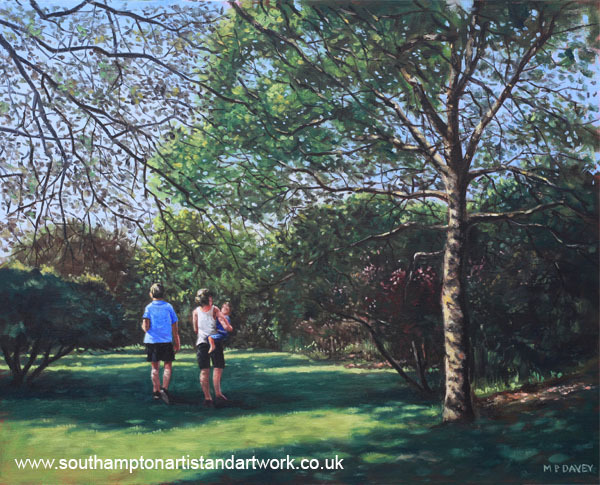 This Oil painting was done in May 2013, and shows a young family out in a Southampton Park during an Autumn. The painting is created on canvas board, sized to 16” x 20”. Initially the board is painted a bright, Acrylic red ground. Then the actual painting, done in oil, is worked on top.